RapidWeaver 7.1 introduced faster document opening, faster saving, and faster exporting. These features complicating some corner cases, including using Stacks with PlusKit. We've fixed a ton of crashes and bugs in these spots. Most of these fixes will probably go unnnoticed -- but we love to see all of the great ways people are putting Stacks to good use. Updates like these helpt to ensure that Stacks is even more robust and stable -- no matter how you use it. 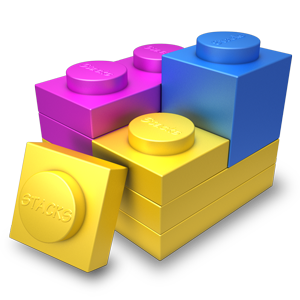 Stacks will remember the location, size, and other prefs of the Stacks Library more reliably.